The 2015 World Marathon Challenge is Coming! 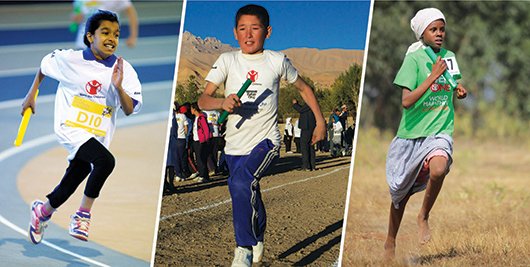 Join hundreds of other schools & athletes around the world and enter the World Marathon Challenge, a simultaneous relay in which teams of 26-36 children race against each other over the full 26.2 mile marathon distance. The World Marathon Challenge is aimed at Secondary Schools with a separate 5000m Challenge specifically for Primary Schools. The World Marathon Challenge and the 5000m Challenge events are easy to organise and fun to take part in. Choose a date to suit your school or join teams from 40 countries around the world for our simultaneous grand finale on Wednesday 7th October 2015. Both the marathon challenge and the 5000m version help young athletes know how it feels to run at the speed required to run a world class marathon or 5000m time. The races also provide opportunity for teams to qualify for a British Athletics Endurance Team Award.